Yay Summer is round the corner. 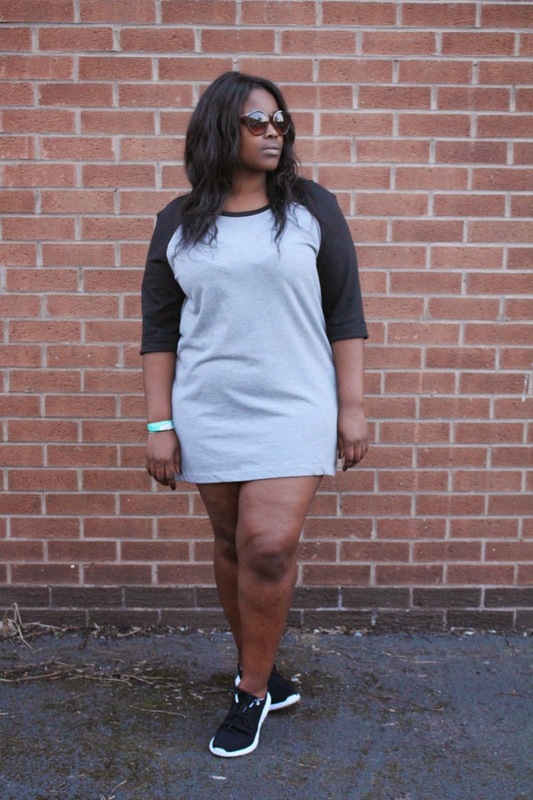 Jumper dress- Primark, Trainer- Similar, Sunglasses- ASOS. I had a rough night the night before and so i couldn't be bothered with makeup or making an effort with hair or clothes. No makeup days have become regular for me recently and i have to say i love not making an effort, and i can see a massive difference in my skin as well. I had some errands to run though and since we have actually being enjoying some really good sunny days here in Nottingham i could actually wear my jumper dress (No tights)---yay. I chunked on my new trainers which are so comfortable. I am late to the sports lux trend but I can see why its so popular. Wearing trainers is a gift to my feet since i have always worn some sort of heel in my every day life but since the trainers came in, my feet are thanking me everyday. What do you guys think. Yay or nay to dresses and trainers?